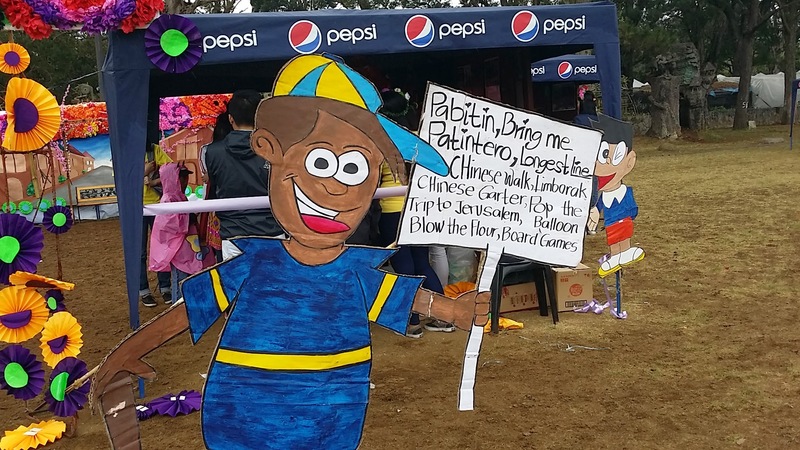 The event was met by a cloudy and rainy weather but that did not dampen the spirits of those who want to witness and participate in this years “Let A Thousand Flowers Bloom” and “Handog Ng Panagbenga Sa Baguio” in celebration of Panagbenga 2015. The rain delayed the holding of the kite flying contest but the fun was not delayed as there were several presentations and contests on stage. On the Melvin Jones ground the students from the three main Universities in Baguio prepared several booths to cater to everyone who are enjoying the festivities. The organizers as well as the participants of the kite flying competition seized a small window of opportunity to proceed with the competition as the rain briefly stopped in the afternoon. The event was capped with a concert by the Edralins and a spectacular fireworks display at the Melvin Jones ground. The Let a thousand flowers bloom is an opportunity for art enthusiasts or anyone interested to create their own artwork using a canvas and paints provided for free by the organizers. Unfortunately, due to the weather many of the paintings were washed away by the rain, it was also noticeable that even the paintings that were placed under a tent were also drenched and washed some paints away. Now we wonder if the organizers will again have the same event for the weekend or will they settle with what they salvaged to be paraded during the Grand Parades.